Pacificorp, a Berkshire Hathaway electricity utility serving six Western states, said it has no plans to build new gas or coal in the coming decades, but instead plans to add 2.7 GW of wind and 1.8 GW of solar. Click here to read more. A new report from a think tank headed by former Energy Secretary Moniz reveals an additional 100,000 jobs with a part-time solar component, and hints at the political powerhouse that solar is becoming. This entry was posted in NewsBlog and tagged Berkshire Hathaway Energy (BHE), Former Energy Secretary Ernest Moniz, Nebraskans for Solar NewsBlog, part-time employment in solar energy, PV Magazine, solar energy jobs in the U.S., Warren Buffett on May 18, 2018 by Helen Deffenbacher. Northfield has a new way of contributing to renewable energy, as solar panels have risen from the ground on St. Olaf land in the northwest corner of the city. The panels, which are on land leased by St. Olaf, make up five community solar gardens, as defined by Xcel Energy, and in all, produce 5 megawatts (5,000 kilowatts) of power. The site is owned and operated by BHE Renewables, which purchased it from the original developer, Geronimo Energy. Read more. This entry was posted in Green Campuses, Nebraska / Midwest News, NewsBlog and tagged Berkshire Hathaway Energy (BHE), colleges & universities reducing carbon emissions, Nebraskans for Solar, renewable energy development at colleges & universities, St. Olaf in Northfield, Xcel Energy on January 10, 2017 by Helen Deffenbacher. The buyer is MidAmerican Energy, a subsidiary of Berkshire Hathaway Energy based in Des Moines and serving over 750,000 customers in Iowa, Illinois, South Dakota and Nebraska. Vestas Wind Systems, with four manufacturing plants in Colorado, has reached a conditional agreement to supply up to 1,000 wind turbines to a massive wind farm in Iowa. It’s the largest order ever for a U.S. wind farm and believed to be one of the largest orders in the world, according to industry experts. Continue reading. This entry was posted in NewsBlog and tagged Berkshire Hathaway Energy (BHE), Denver Business Journal, MidAmerican Energy on June 18, 2016 by Helen Deffenbacher. That company has invested $16 billion in renewables and now owns 7% of the country’s wind generation and 6% of its solar generation. Indeed, the 4,423 megawatts of wind generation owned and operated by our regulated utilities is six times the generation of the runner-up utility. We’re not done. Last year, BHE made major commitments to the future development of renewables in support of the Paris Climate Change Conference. Our fulfilling those promises will make great sense, both for the environment and for Berkshire’s economics. 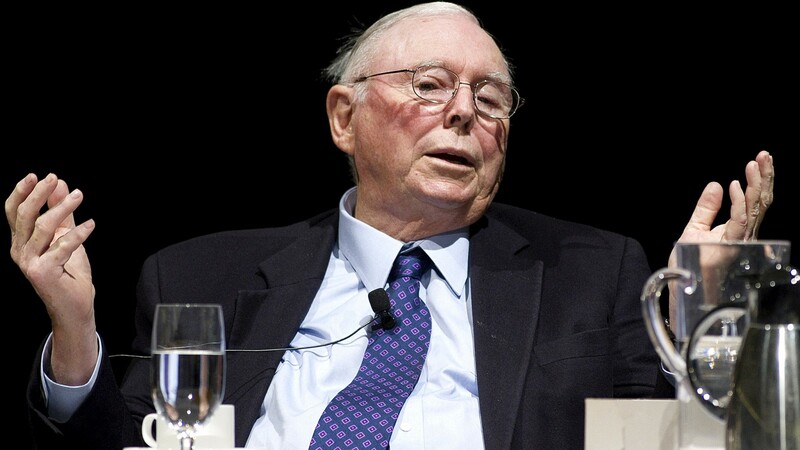 Berkshire Hathaway Energy is a signatory of the American Business Act on Climate Pledge. 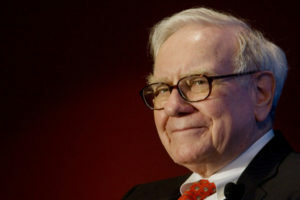 Click here to read Berkshire Hathaway Energy’s pledge. This entry was posted in Nebraska / Midwest News, NewsBlog and tagged Berkshire Hathaway Energy (BHE), Berkshire Hathaway Energy's current and future investments in renewables, renewable energy development in the U.S. Paris Climate Change Conference, Warren Buffett's annual letter to shareholders on February 28, 2016 by Helen Deffenbacher. 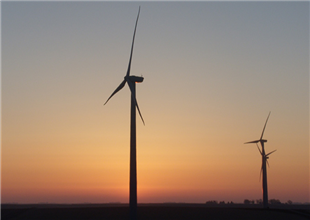 MINNEAPOLIS, MN (PRWEB) / Excerpt: Mortenson Construction, a leading renewable energy contractor, has begun construction on the Grande Prairie Wind Project located in Holt County, Nebraska. 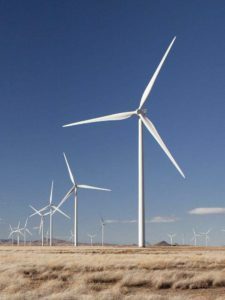 Owned by BHE Renewables, a subsidiary of Berkshire Hathaway Energy, the 400-megawatt project will be the largest wind energy project in the state’s history . . . Once the project is completed in December of 2016 it will generate clean renewable energy for the equivalent of approximately 120,000 average Nebraska homes. This entry was posted in Nebraska / Midwest News, NewsBlog and tagged Berkshire Hathaway Energy (BHE), Berkshire Renewables, Grande Prairie Wind Project, Holt County, Mortenson Construction, Nebraska renewable energy development, Nebraska's largest wind farm to date on October 8, 2015 by Helen Deffenbacher. 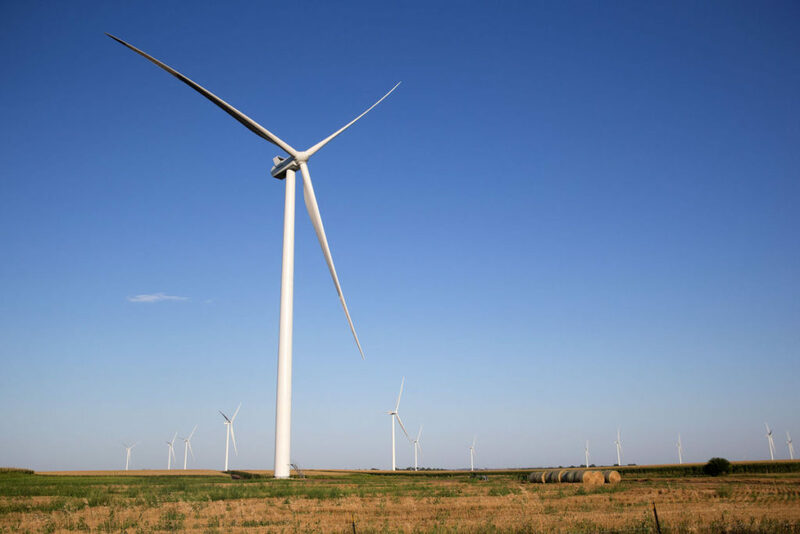 Excerpt: Over the next year, the company Knapp works for – Berkshire Hathaway Energy or BHE Renewables – will upgrade roads and install 200 wind turbines spread over 54,000 acres of farm and pasture land here in Holt County, which stretches from the Sandhills to the Niobrara River . . . 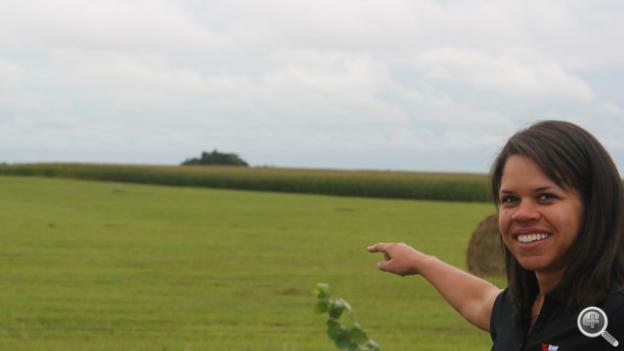 The company says it will pay landowners lease payments totaling $2.5 million a year, and there will be about $2 million a year in tax payments to divide between the schools, the county, fire districts and townships. This entry was posted in Nebraska / Midwest News, NewsBlog and tagged Alicia Knapp, Berkshire Hathaway Energy (BHE), BHE Renewables, David L. Bracht, Fred Knapp, Jennifer L. Cooke-Yin, Nebraskans for Solar, NET News, renewable energy & economic development in Nebraska, renewable energy development in Nebraska on August 20, 2015 by Helen Deffenbacher. Iowa’s MidAmerican Energy, a utility subsidiary of the Warren Buffett-owned Berkshire Hathaway Energy (BHE), is planning on getting up to 57% of its electricity from wind and expand its generation capabilities into utility-scale solar power plants and community shared solar arrays, according to CEO Bill Fehrman . . . MidAmerican has invested some $6 billion in wind energy since 2004 and has a $900 million, 552 MW project awaiting approval from Iowa regulators that would take the utility’s installed renewables capacity to over 4,000 MW by 2017 and make it possible to get to the 57% wind target. This entry was posted in Nebraska / Midwest News, NewsBlog and tagged Berkshire Hathaway Energy (BHE), Bill Fehrman, Herman K. Trabish, MidAmerican Energy, Nebraskans for Solar, President Obama's climate pledge, Utility Dive, wind energy development in Iowa on July 29, 2015 by Helen Deffenbacher. 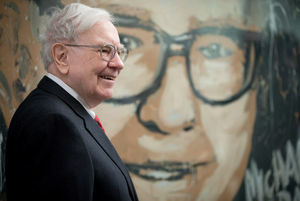 Warren Buffett with a large image of himself in the lobby at UNO’s Mammel Hall in 2013. 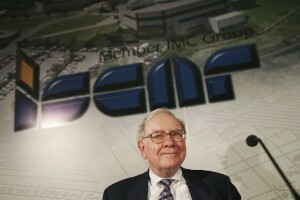 Warren Buffett is lending his name and deep pockets to the battle against climate change. Berkshire Hathaway Energy on Monday joined a dozen major U.S. businesses at the White House in calling for robust action on global warming. Berkshire joined Apple, Walmart, General Motors, Cargill, Bank of America and others to announce more than $140 billion in investments in low-carbon projects and other actions as they shift toward greater reliance on renewable energy. This entry was posted in Nebraska / Midwest News, NewsBlog and tagged American Business Act on Climate Change, Berkshire Hathaway Energy (BHE), investing in low-carbon energy, Nancy Gaarder, Nebraskans for Solar, renewable energy & climate change mitigation, Steve Jordan, The World-Herald, U.S. energy transition, Warren Buffett on July 28, 2015 by Helen Deffenbacher.